GWA is excited to announce the launch of its new webinar series, featuring topics and speakers focused on building your business and your career. To access, all you need is a computer, phone or tablet. There are two things to consider when you want to increase your income by speaking. The first is how to improve your presentations so that your audience isn't just pleased, but is thrilled by your talk. The second is knowing ow and where to market yourself as a speaker. This talk will give attendees specific ways to improve their presentations, and details about how to generate bookings. Some topics covered include: how to add humor to a talk, how to create unique performances, body language, unfortunate habits and creating a speaker's one sheet for marketing. C.L. Fornari is an author, radio host, podcaster and professional speaker. 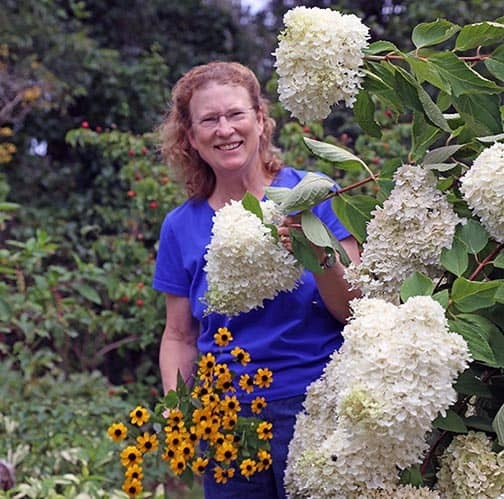 In addition to presenting talks about plants and gardening, she also gives workshops and presentations about speaking skills, with a particular focus on those in the green industry. See her full biography at www.gardenlady.com. Early registration ends on May 08, 2018. Regular registration starts on May 09, 2018 and ends on Oct 17, 2018.